Location provides you the opportunity to experience some of Western Maryland's stunning scenery or to just "be" at the farm. A 6,000-sq. ft. educational/interpretive center. Natural, cultural, historical resources; mounted specimens, aviary, children's interactive room. Daily educational naturalist led programming for all ages. Set at the mouth of the Savage River Reservoir, Big Run is a popular base camp for fishing, camping and hunting also the trailhead of the six-mile Monroe Run hiking trail. West of the Eastern Continental Divide and within the Mississippi River watershed, the park is home to black bears and wild turkeys. 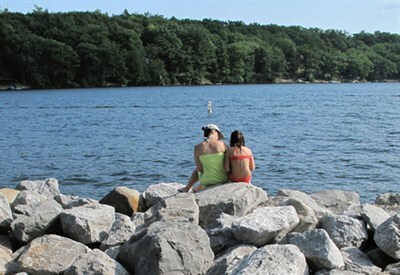 One mile of shoreline along Maryland's largest lake, has public boat access ramps.